I miss Peter Hessler. While there are still a lot of great writers covering China, there was something about Hessler’s writing – his ability to capture a moment and the ordinary people in it – that resonated. His three books about China – River Town , Oracle Bones and Country Driving – are still some of my favorites. But Hessler left China around 2007, after covering it for almost a decade for the New Yorker, and I still feel the loss. When I heard that Hessler was set to publish a new book this spring, this time about Egypt, the country he has been living in since 2011, I looked up to see when it would be published (May 7, 2019 ). 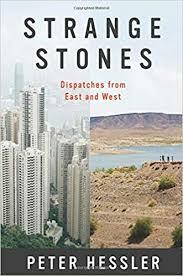 But, in looking up the publication date, I stumbled upon another book that Hessler published back in 2013, one that I hadn’t been aware of previously; one that is about China: Strange Stones: Dispatches from East and West . Ostensibly, Strange Stones is a collection of 18 essays, 13 of which cover Hessler’s time in China and a few about his move back to the United States. 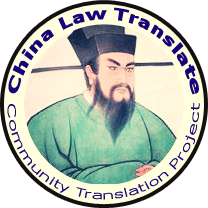 But Hessler’s China essays – covering the period of 2000 to 2008 – are a snapshot of a China that doesn’t exist anymore. In the decade since Hessler left, China has achieved some amazing feats: it weathered 2008 economic recession better than most; it has become the second largest economy in the world; in many key industries (think 5G, artificial intelligence) it is a leader; and both its government and its people have a confidence that was absent back in 2008. And that is why reading Strange Stones now – almost a decade after some of the most recent essays were written – is particularly poignant. Hessler portrays a China and its people that are just starting to come into their own. And in a way that the reader can relate to for Hessler has a gift for truly capturing the souls of people. Each of his subjects opens up to him, telling him their secret aspirations, as well some of their regrets. From a worker in a Chinese bra factory, to the manager of Hessler’s car rental spot in Beijing; to the Uranium widows in Colorado who wish uranium mining – and the economy with it – could come back to their town; to a pharmacist in a small border town between Colorado and Utah, Hessler forces you to briefly see the world through their eyes. And by doing so, you come to realize that Hessler’s subjects – be them in China or in Colorado – are no different than us. A sentiment that too many people are apt to forget these days.Strange Stones doesn’t have the overarching narrative of Hessler’s previous books, but, to understand where China is today vis-à-vis a decade ago, it is still a must read.